I prior posts highlighting investor sentiment data it has been noted that sentiment data is more actionable at market bottoms than at market tops. 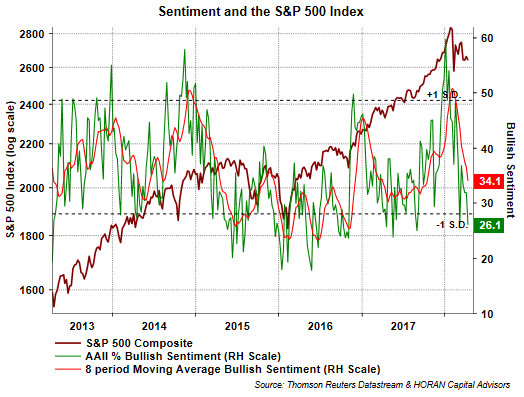 Knowing this, the American Association of Individual Investors reported bullish investors sentiment at 26.1%, which is below the minus 1 standard deviation level of the average bullish sentiment level. 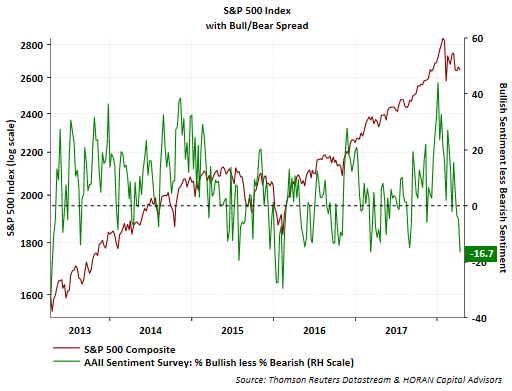 Additionally, bearish sentiment jumped 6.1 percentage points to 42.8% resulting in the bull/bear spread being reported at a negative 16.7 percentage points, the widest negative spread in more than a year. Aldo, newsletter writers are far less bullish with the bullish sentiment falling to 42.2% from nearly 70% at the beginning of this year. 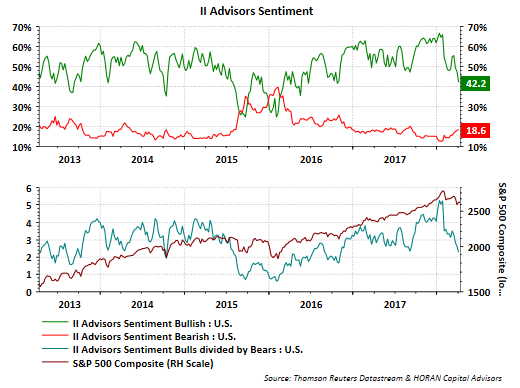 The Investor Intelligence Advisors’ Sentiment bull/bear ratio has fallen to nearly 2:1 versus over 5:1 at the beginning of the year as well. The II Advisors’ Sentiment Survey studies over a hundred independent market newsletters and assesses each author’s current stance on the market: bullish, bearish or correction. With much of the sentiment now decidedly bearish, just possibly the market is nearing a bottom.